I adapted this dish from a recipe I found on the Philadelphia website, and it's my boyfriend's new favourite. Juicy haddock fillets are topped with a creamy mixture of diced king prawns, Philadelphia cheese, English mustard, white wine and lemon juice and baked in the oven for 15 minutes, before being finished off with a sprinkling of Parmesan and breadcrumbs and a final few minutes under the grill (for that lovely crisp crust). This dish is healthy but satisfyingly rich, and goes perfectly with steamed vegetables and a big dollop of creamy mashed potato. Pre-heat the oven to 200C. 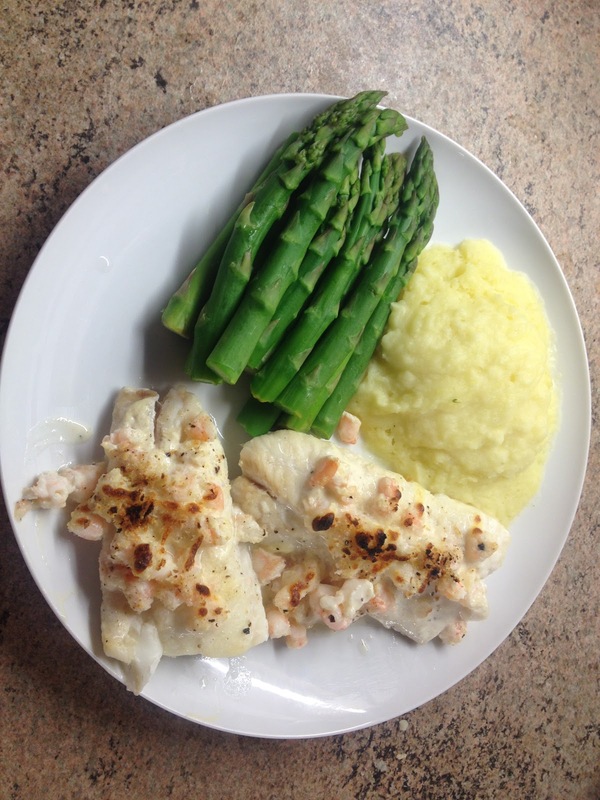 Drizzle a non-stick baking tray with cooking oil, and place your four haddock fillets onto the tray. In a small bowl, combine the Philadelphia, English mustard, white wine, and lemon juice, and season to taste. 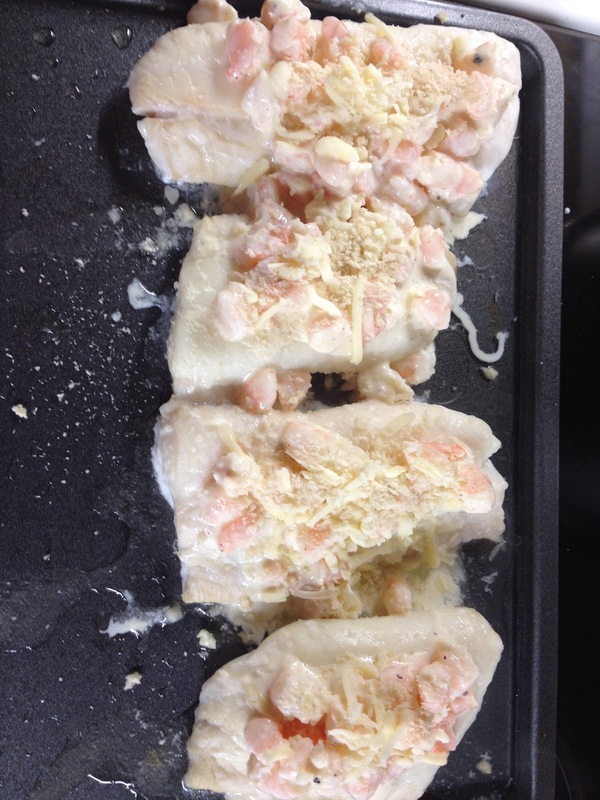 Chop your king prawns into rough pices (around six per prawn) and stir into the cream cheese mixture. Spread the cream cheese and prawn mixture onto your haddock fillets, and cook near the top of the pre-heated oven for 15 minutes. After this time, remove the fish from the oven and sprinkle with Parmesan and dried breadcrumbs (and grated mozzarella, if you fancy! ), before cooking under the grill on high heat for a further 3 minutes or so, or until the cheese and breadcrumbs are golden and crispy. Served with steamed vegetable and mashed potatoes.